We’re Down to Our Final Spots! Sign Now Before They’re Gone. The Pines Apartments is proud to announce that we are now a BYU-Idaho approved housing complex for Men and Women located in Hemming Village in Rexburg, Idaho. Situated within walking distance of the BYU-Idaho campus and many local shops and restaurants, The Pines is the perfect place to live! Our apartment complexes are modestly priced, and we have a friendly management staff. Our amenities include fast Wi-Fi, laundry, large lounges, and more! The Pines is the most affordable complex in town, meaning we provide you with the most bang for your buck! Our management staff is hired on specifically to listen to your needs. They are here to answer your every question and concern! We make you the priority. We want to make your college experience the best yet, so live at The Pines and make new friends and fun memories while you’re here. Our staff keeps you in mind when planning fun events and activities. View our Facebook and Instagram to see what we’ve been up to recently! We know that you’ll make lifelong friends during your time at The Pines. In staying in line with BYU-Idaho Honor Code Standards, we place a large emphasis on following the school’s Student Living guide. We want you to feel independent and cared for. Make The Pines home for your BYU-Idaho experience! 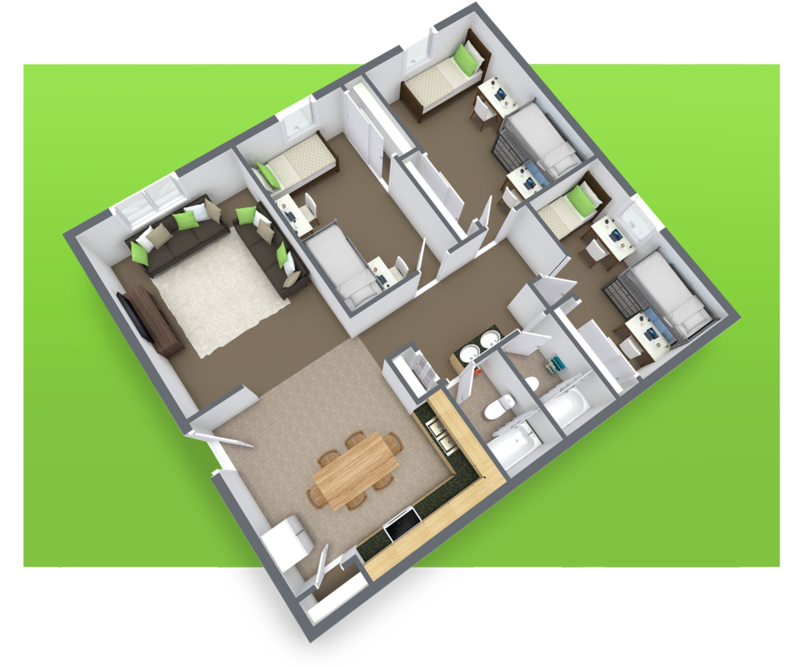 Take a look at our 3D Floor Plan Renderings and learn more about which one is right for you. No matter what type of floor plan you’re looking for in Rexburg student housing, we think that you will find that The Pines is the perfect place for you!